Tonight’s Fed 100 gala marks the thirtieth anniversary of the Federal 100 awards. These awards recognize the important work that federal government and industry leaders are doing with the help of technology. Congratulations to the 100 women and men recognized and a special shout out to these two cloud leaders who are playing a critical role in modernizing government: Kevin Smith, CIO, U.S. Census Bureau, and Richard “Rick” Jack, Distinguished C4ISR Software Engineer (SSTM), SPAWAR Systems Center Pacific, U.S. Department of the Navy. 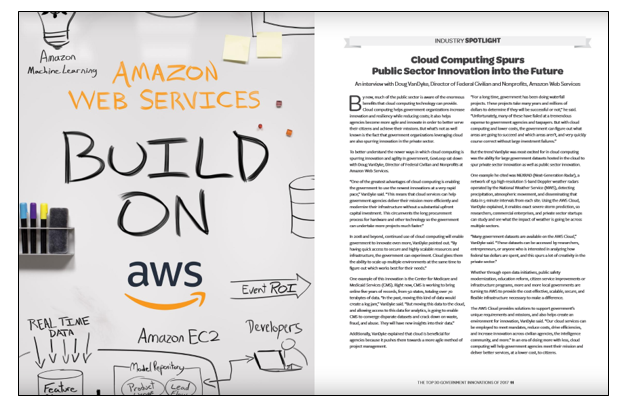 Enlighten IT Consulting, an AWS Managed Service Partner, is the prime integrator for the Department of Defense (DoD) Big Data Platform (BDP). 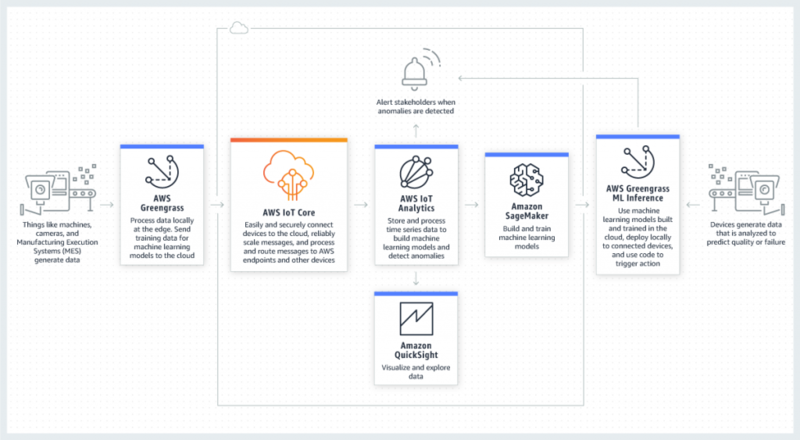 BDP is a fully accredited government-owned platform used for storing, querying, and analyzing cyber data that runs at petabyte scale in AWS GovCloud (US). The BDP has been adopted by multiple defense and federal civilian agencies as the primary security information event management solution (SIEM) due to its ability to support petabyte-scale data ingest, processing, storage, and visualization without the burden of licensing cost or lock-in. 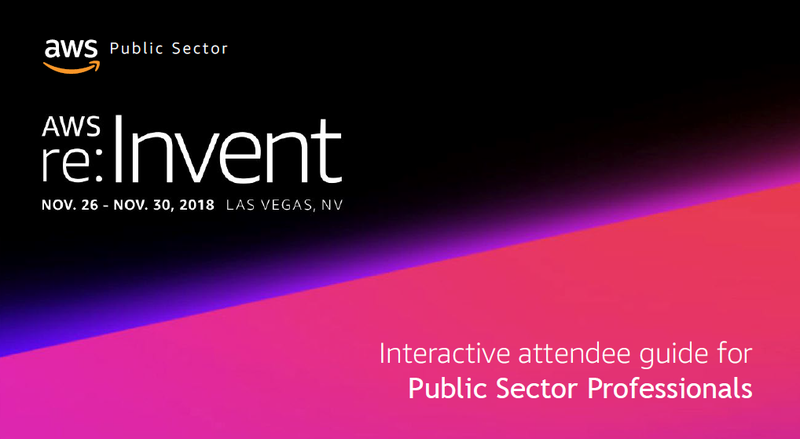 The countdown is on until re:Invent 2018! This guide is designed to help public sector attendees plan their experience and identify breakout sessions and events of interest. It is intended to complement the re:Invent app, which will help attendees navigate the conference onsite. Adoption of cloud computing is critical to maintaining our military’s technological advantage. Our nation’s warfighters deserve the most innovative and secure solutions. 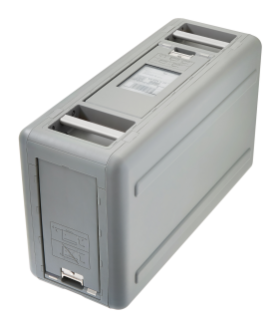 The AWS Snowball Edge is designed for rugged deployments in unfriendly physical environments. For the military, that may mean using the cloud in the middle of the desert, on board ships, and on the front line of the battlefield. The U.S. Air Force migrated the Air Force Portal, which posts officer promotional lists and other information, to the cloud. With a pay-as-you-go model, the Air Force only has to pay if the portal is being used, instead of a flat fee upfront. This model leads to savings when traffic is down. Migrating applications to a commercial cloud eliminates the need for the government to manage and sustain enough servers in times of maximum traffic such as staff sergeant promotion release days. Public sector organizations worldwide have responsibility for high-value assets and operations associated with utilities, public venues, roads, bridges, transit and mobility systems, airports, ports, and public health systems. Unexpected downtime can lead to critical outages that cost millions of dollars in lost productivity, but replacing or fixing broken equipment can also cost tens of thousands of dollars in extra expenses. Predictive maintenance analytics capture the state of the equipment, so you can identify potential breakdowns before they impact operations. 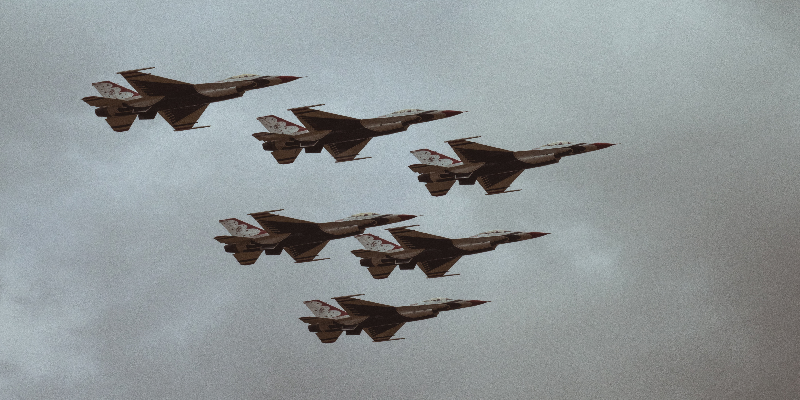 As the U.S. Department of Defense migrates more mission-critical workloads to the cloud, the Defense Logistics Agency (DLA) recently upgraded its training-delivery application, moving it from its on-premises data center into a commercial cloud environment. With this upgrade, DLA employees have improved capability, and the agency is blazing a trail within the DoD for the use of commercial cloud to empower the workforce. Over the past decade, consecutive administrations and the U.S. Congress have focused on IT modernization, issuing policies, directives, and passing legislation to help agencies move from legacy systems to modern commercial technologies. 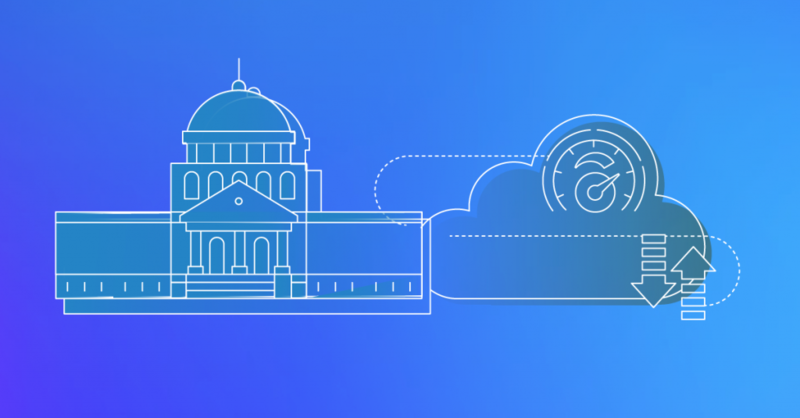 Policies that embrace cloud help save the government and taxpayer money and become more efficient, customer-focused, and secure. 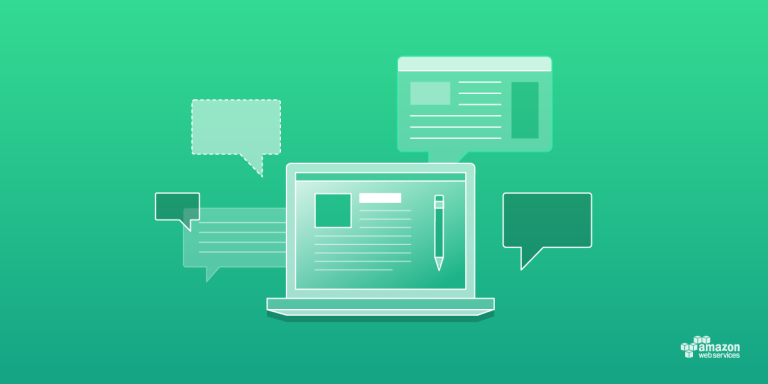 The following is a brief timeline of the U.S. government’s continued journey to the cloud. Looking ahead to the future of federal cloud adoption and the steps government has already taken, John Hale, Chief of Cloud Services at Defense Information Systems Agency (DISA), joined Doug VanDyke, Director of Federal Civilian and Nonprofits at Amazon Web Services (AWS), for a fireside chat at FCW’s recent Cloud Summit. They discussed how agencies have approached their cloud migrations and have taken advantage of the benefits the cloud brings. One of the greatest advantages of cloud computing is enabling the government to use the latest innovations at a rapid pace. Cloud services can help government agencies deliver their mission more efficiently and modernize their infrastructure without a substantial upfront capital investment, allowing them to undertake more projects faster.